The saga continues — craft vs. crafty — and we’re here to keep the debate raging. First off, cheers to HomeBrewWest for sending this infographic along (regardless of comma usage and possessive nouns). According to its site, they are Ireland’s largest homebrew supplier, which is a pretty impressive tagline. Secondly, we don’t abide by any particular definition of craft beer here, so we have no problem covering breweries that don’t necessarily fall under the Brewers Association‘s terminology of craft, which we have to assume this infographic is based on. But hey, who are we to stand in the way of a good beer argument. Seems like they shoe-horned Harpoon in there because they had nothing else for H. By the BA definition, Harpoon is still a craft brewery and smaller than its neighbor (and also craft) Sam Adams. 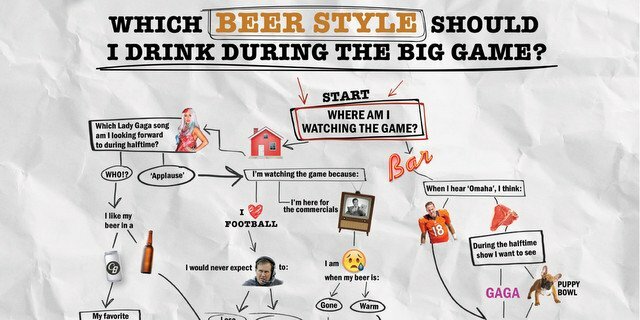 This infographic seems way too inconsistent and wrought with typos to be shared by an upstanding news agency like Craft Brewing Business. The title says it’s a list of craft beers that aren’t, but it just list brewers and some of the ones listed are actually considered craft breweries. COME ON!! Why share this stuff? Morgan Alexander liked this on Facebook.